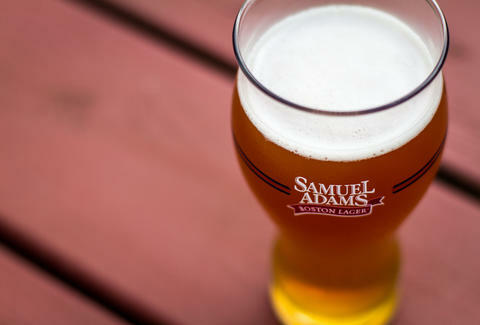 Boston Beer Company is the publicly traded parent corporation of Samuel Adams. As we've noted before, it's an enormous brewery, but because of its foundational role in America's now-robust craft beer movement, it's always been considered a part of the industry it helped create. (The Brewers Association, the market's advocacy group, has adjusted its own craft brewer definition to continue including the company in the past.) Now, a politician from suds-struck Oregon has proposed a bill that would effectively eject Jim Koch's leviathan from its own craft club. Here's the deal. MarketWatch reported last week on a new piece of legislation called the Craft Beverage Modernization and Tax Reform Act, brought by a democratic senator from the Beaver State. The text of the bill has yet to be released, but the gist is to define craft brewers strictly by their output, then offer the biggest tax breaks to the smallest producers. The category that benefits least is those brewers that produce 6 million barrels or more annually -- a group that includes A-BInBev, MillerCoors, Heineken, and Modelo's parent. Put another way: if the bill passes, Boston Beer Company will be paying like a macro brewer but still fighting more nimble microbrewers for shelf space. That's a tough position no matter where you're standing. Dave Infante is a senior write for Thrillist. He's gonna crack a beer and see how this shakes out. Follow @dinfontay on Twitter, Instagram, and Facebook.